Sitework Construction, LLC began business in October of 2003. Sitework Construction specializes in turnkey site preparation to include clearing, underground utilities, grading, and paving. We handle commercial and residential developments of most any scope and size. Sitework Construction provides infrastructure development for a number of different applications to include residential neighborhoods, warehousing facilities, commercial mix use, roads, parking lots, sanitary sewer systems, water systems, flood control systems, pump stations, residential/commercial certified septic tank installations, & large underground utility installations. We work diligently with engineers and general contractors to utilize the latest green methods of construction to minimize our impact on the surrounding area. Sitework Construction, LLC proudly employs a full staff of estimators, foreman, surveyors, laborers, and office administration. 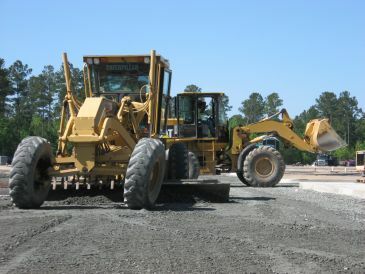 Sitework Construction currently operates in the Greater Savannah Area, Southeast Georgia, and Southeast South Carolina.